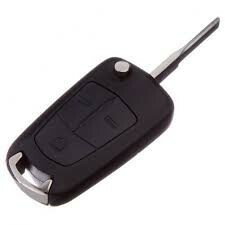 So you’ve finally given up looking for that lost Car Key, even though you knew it would turn up somewhere!?! Better go get it replaced, surely it won’t cost too much, it’s just a key after all! Right? Unfortunately this is no longer the case, Cars are no longer just that big hunk of metal getting you from A to B. Now it’s all Bluetooth this and Hybrid that, which even the keys have had a drastic upgrade. In the late 1990’s there was quite a rise in Automotive Theft and the insurance companies were being inundated with claims because of it. A decision was made and put forward to Car Manufactures that if a change wasn’t implement they would no longer continue to insure vehicles. 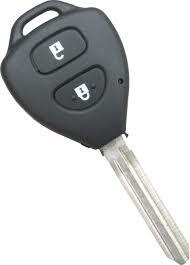 Following this was the introduction of Transponder Keys. Essentially a Transponder Key has a small chip within the head of the key that is coded to the car, without this chip the car will not start! This process happens without you even noticing, there is a coil/ring around your Ignition which reads the code from the chip and relays that information to your cars control module that then allows your car to start. ( People commonly confuse this with an Immobiliser, which is a similar concept but would generally require you to use a separate remote or activate a hidden switch within the car, whereas a Transponder just runs in the background as such upon normal operation ). No longer were criminals able to manipulate/force ignition barrels or attempt to hot wire vehicles. Due to this security upgrade, keys have now progressed from being just a $10 brass blank to anywhere around $100/$150 for most car models to about $500/$600 for the higher end models that also house the Cars Remote within the key. With this comes a few raised eyebrows, not to mention the near misses with a heart attack when we inform people that their key is in fact a Transponder Key. Then the fun part of explaining it all even though they assure us “It’s just a normal key, no fancy stuff or electronics!”. The problem being that although these keys do cost a little more than what people are used to, they cost A LOT more if they have been lost completely and there is no original to copy from. This can be due to each manufacture having a different process in which to code/supply new keys. Some cars require a minimum of 2 keys to be coded in, whereas some cars won’t allow new keys to be coded without an existing key to bypass/deactivate the security, meaning a new control module with keys would need to be fitted which is over the $2000 mark. Thankfully as the technology has been around for quite a few years now there are often Aftermarket options rather than having to go genuine, be it Ford, Holden, Toyota, Nissan, Subaru or Mitsubishi, rather than paying for a logo, chances are your original key could be duplicated onto an Aftermarket blank which could save you some money. If you’re currently down to your spare key and keep putting off replacing the old one, I would HIGHLY suggest getting it done sooner rather than later. If you happen to be driving past the Modbury area be sure to pop into the Tea Tree Plaza and see us. We’ll let you know what options you might have.